This work describes a step-by-step guide to assembling a multimedia PC system that is complete with all necessary hardware and software, including CD-ROM drive, MIDI/PC sound, modems and fax. An accompanying CD-ROM contains useful shareware programs. 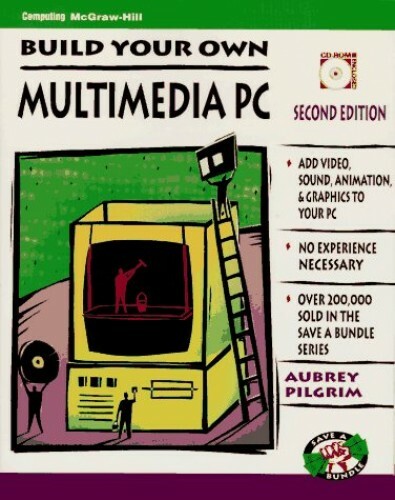 Completely revised and updated throughout to reflect many new developments in PC-based multimedia technology, this book puts today's best video, sound, animation, and graphcis software within reach of even the most budget-minded computer users. Aubrey Pilgrim, bestselling author of more than 200,000 guides for do-it-yourself PC builders, demonstrates how to assemble a state-of-the-art multimedia PC system that meets or exceeds all MPC requirements. In addition to recommending software for a wide range of multimedia applications.